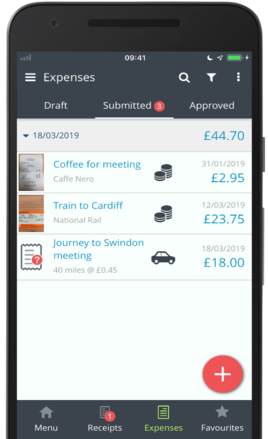 If you have submitted your expenses on the app for approval but need to amend the expenses, you have the ability to recall them. You can only recall expenses which have not been approved yet and are Awaiting Approval. Once recalled you will need to resubmit the expense for Approval. Navigate to the Expenses area and tap the Submitted tab. This will give you access to the expenses you have submitted for Approval. 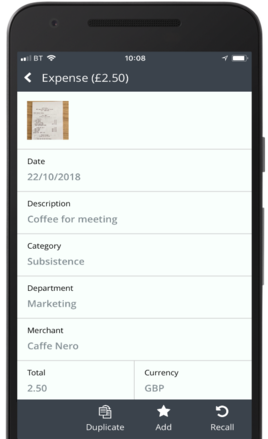 Search for a specific expense: Tap the Magnifying Glass icon and enter the description of the expense you are look for. Apply a Filter to help you locate the expense: Tap the Filter icon and select a filter option. 3. 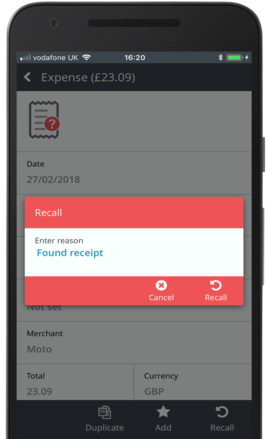 Tap the expense you wish to recall and tap the Recall button, bottom right. 3. Enter a reason for the recall in the Recall box and click Recall. Once recalled, the expense(s) will go back to your Draft section where you can edit and re-submit.